Sharjah Publishing City opened its doors last year in October. The publishing city is the first free zone of its type. The facility provides a tax-free setting for publishing houses, publishing companies, printers, distributors and other associated businesses. It is a tax free provision for the companies associated to book publishing business to operate as completely independent businesses without the liability of taxes. 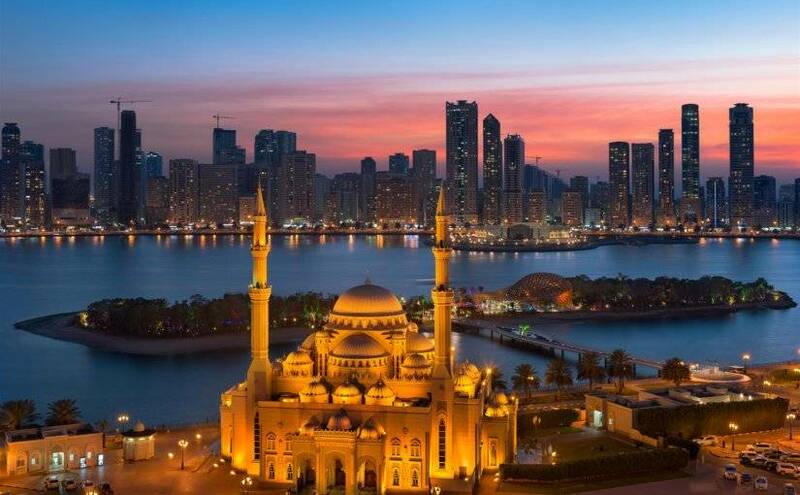 The publishing city in Sharjah covers an area of 19,000 sq. meters, providing warehouses and office places to publishing companies from all around the world. Sharjah Publishing City is playing an important role in bolstering the publishing industry as a whole. You can now publish a book with leading book publishers from UK and US while living in the middle east. The leading book publisher of UK and US which is ranked as the fastest growing publisher in US, Austin Macauley Publishers is one of the initial companies to establish their office in the SPC. The publishing city is now the most preferred destination of businesses related to book publishing and serves as a pivot point for them. How is Sharjah Publishing City Facilitating Publishing Companies? The facility can accommodate 550 companies in every manner. The Publishing companies are provided with furnished offices, conference rooms, store facilities and a huge data centre. The spaces are equipped with latest technology that business owners need to be successful. Entrepreneurs who plan to set up their offices in Sharjah Publishing City can get their space at a cost as low as AED 1350 and this includes the utility bills as well. The amenities being provided to the companies include: office spaces, car parking, clean areas and pre-built warehouses. The authorities have minimized the legal requirements to set up a business there and the companies are being given a leasing contract of 25 years that can be renewed. The provision of acquiring business licence is 24 hours open and the companies can employee all employees of their own choice. SPC offers large scale printing presses and low printing costs for publishing houses around the clock. The publishing companies are able to avail airfreight and shipping services to transport their production on competitive prices. The companies can easily distribute books around UAE while obtaining permits within a short span of time. Stationed in the publishing hub, the publishing companies have a strategic access to the markets in Middle East, Asia, Europe and Africa. The location of the publishing city makes it an ideal place for import and export. The cost of accommodation for the workers in the city is very low and there is provision of all facilities for the employees. The international companies making their offices in SPC will be able to access different educational institutes in university cities of UAE which can help them capitalize by working on academic books on a large scale. The publishing city is now house to Sharjah Book Authority, Emirates Publishers Association, Emirates Writers Union, Arab Writers Union, Children’s Book Association and the Emirates Library Association and Information. This makes it easy for the international book publishing companies to connect with the authorities at hand. The publishing companies are not liable to pay any taxes to the state and can send all their income back home. Local sponsorship for the staff and e-visa services are being provided for the smooth functioning of these international companies. The initiative of His Highness Sheikh Dr. Sultan bin Muhammad Al Qasimi, the ruler of Sharjah has opened up an array of prospects for publishing companies in the region. The Sharjah Publishing City is fulfilling the needs of business related to publishing completely. The initiative will motivate an environment of cultural and scientific research and importance of reading, making the city as the publishing powerhouse of the region. If you think that you are a good writer and intend to publish a book of your own, big publishers like Austin Macauley are some kilometres away. Austin Macauley Online Publishers accepts manuscripts online, so send us your work today and become a renowned published author. You can see some of the books that we have published in UAE on our website.